Port Vell is a harbor close to the Ramblas. In 1992 were the Olympic Games in Barcelona. Port vell was before an area with empty warehouses and old factories. Port Vell means Old Harbor. Barcelona renewed the port into an entertainment zone with a marina and a mall with shops, restaurants and an IMAX cinema. In the mall is also the largest aquarium of Europe. Metro station Drassanes is 300m from the walkway in the port. 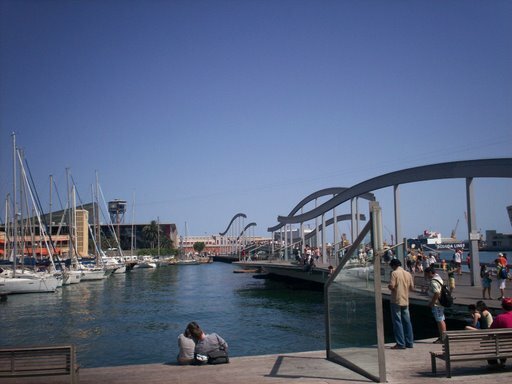 On the picture is the pedestrian walkway which connects the Ramblas with Port Vell. 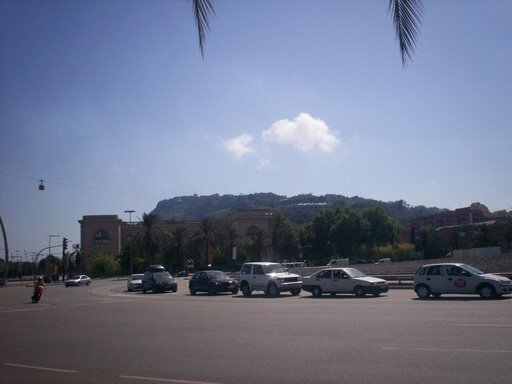 In the background is the mall with a tower of the cable car. Eurostars Grand Marina Hotel GL is a 5-star design hotel overlooking Port Vell (4356 reviews, 8.7). It’s 5 minutes walking to the Ramblas and the metro station. 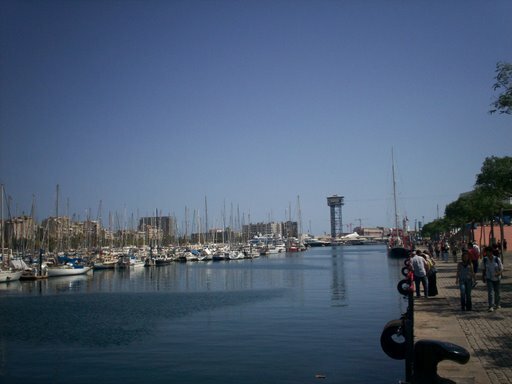 H10 Port Vell is a 4-star property and just 220m from the harbor (1211 reviews, 9.2). Hotel Cantón has 1 star and is 300m from the Old Port. The property is simple but has more than 1580 reviews (8.0). The highest reviews (9.6) are for Hotel The Serras. This 5-star hotel is opposite the harbor and has a restaurant with a Michelin star. Most exclusive is a stay at motor yacht Vip One. The boat has 4 bedrooms and can sleep up to 7 people. 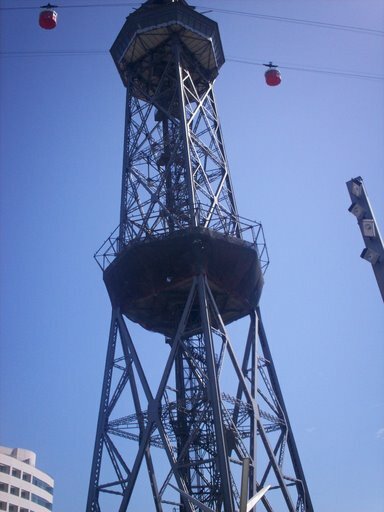 The Montjuïc is a hill outside the city center with a height of 184m. A cabin of the Aerial Tramway is crossing the streets.